Utah’s five national parks are home to some of the state’s most incredible scenery: Think Island in the Sky District in Canyonlands, or the iconic Delicate Arch, featured on Utah license plates, in Arches National Park. It’s no wonder visitors from all over the world flock to these beautiful places. But sometimes it’s nice to enjoy these incredible national parks in solitude. Utah’s got you covered there, too. While it requires some extra effort to explore Kolob Canyons— the lesser-known, quieter corridor of Zion National Park—it is well worth it. The Kolob Canyons Visitor Center offers few amenities, so Cedar City, 20 miles north of the entrance at the edge of the Mojave Desert, is the best place to start a trip. Cedar City is home to a handful of grocery stores and outdoor gear retailers. Visitors will need to stop at the visitor center to pay the park entrance fee ($30 for a private vehicle, good for a week). The Kolob Canyons Visitor Center, open daily, has a small bookstore, some interpretive exhibits, and an information desk, where a ranger is stationed to answer questions and issue permits. The NPS website also regularly updates the condition of various water sources in the park, so be sure to check whether your intended source is flowing before heading into the desert, especially for a multi-day trip. There are no campgrounds in Kolob Canyons; it’s all backcountry camping, and wilderness regulations apply. 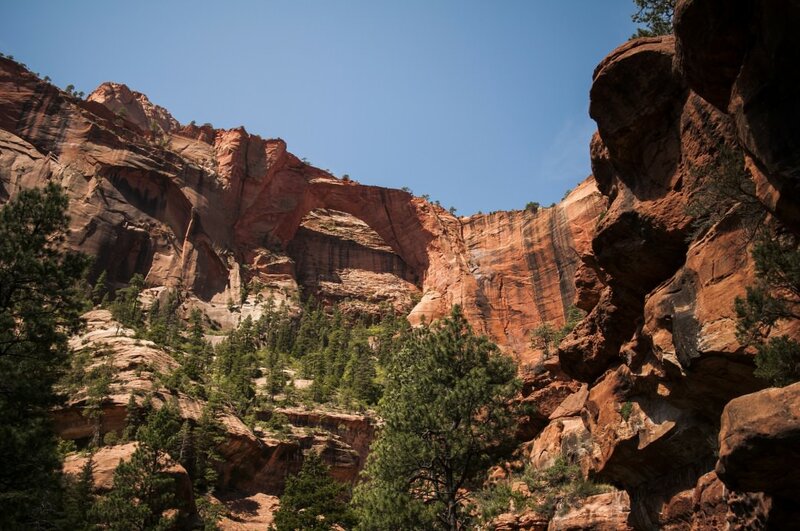 Despite its remote, road-less-traveled feel, Kolob Canyons is home to nearly a dozen hiking trails. 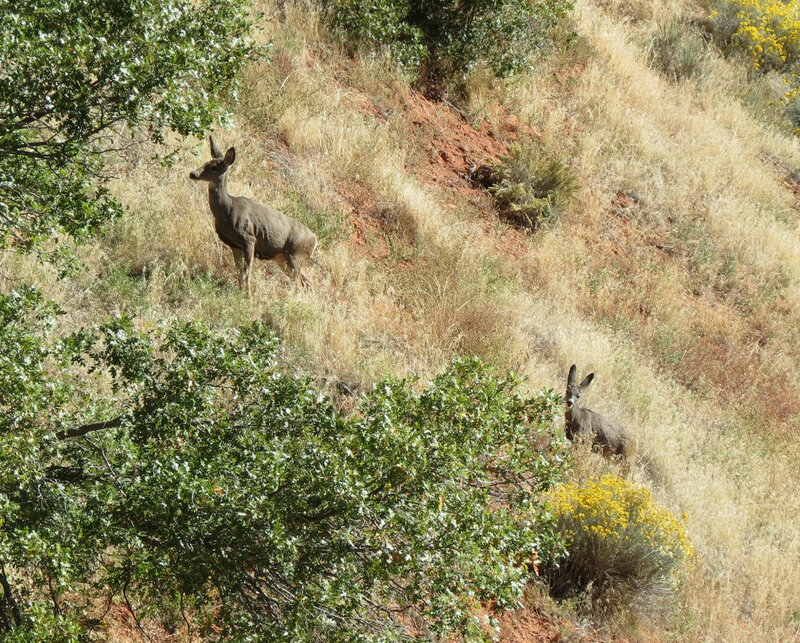 Hikes in this district of the park range from the easy stroll to Timber Creek Overlook to the longer, more strenuous overnight out-and-back to Kolob Arch. For those with some technical experience, there's canyoneering in Beartrap Canyon. 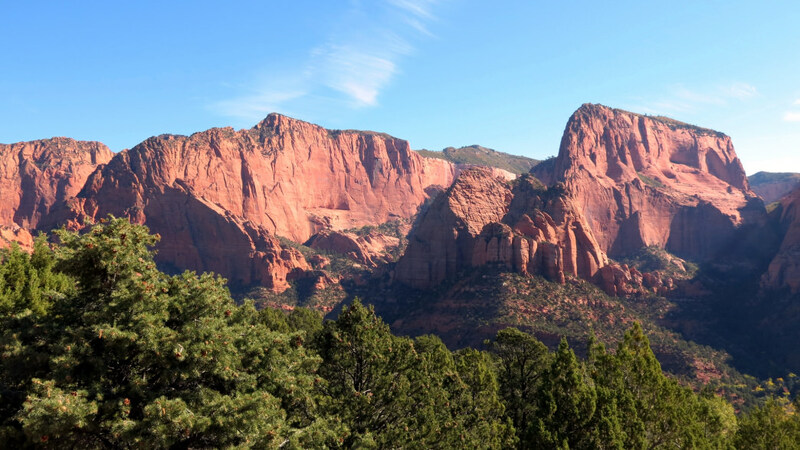 Get a feel for Kolob Canyons by taking the five-mile scenic drive on Kolob Canyons Road, the only paved road in this section of the park. The road ends at the Kolob Canyons Viewpoint, which doubles as the trailhead for the Timber Creek Overlook Trail. It’s just a half-mile each way to the overlook, which offers sweeping vistas of brilliant red 2,000-foot cliff walls and a panorama of the canyon country that makes up this section of the Colorado Plateau—including, on a clear day, Mt. Trumbull, 100 miles away at the north rim of the Grand Canyon. 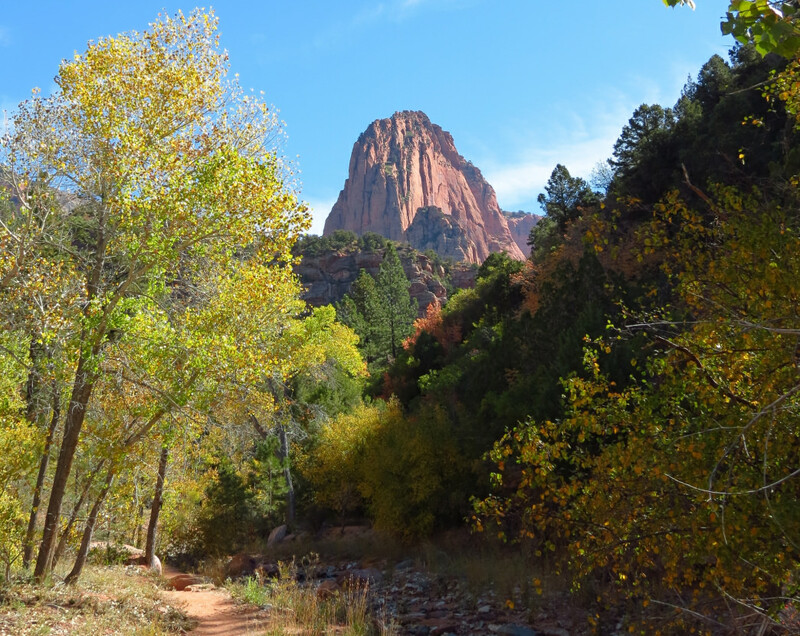 The Taylor Creek Trail, which heads up the middle fork of Taylor Creek, is the most popular trail in Kolob Canyons. Park at the obvious lot two miles beyond the entrance station, then head the 2.2 miles upstream to Double Arch Alcove, a Navajo sandstone formation sandwiched between the towering walls of Tucupit and Paria that rise 1,700 feet above the trail. The trail also passes the historical Larson and Fife cabins, both built in the 1930s. In addition to slot canyons and vermillion cliffs, Kolob Canyons is home to one of the longest natural arches in the world. At 287 feet long, Kolob Arch is second only to Arches National Park’s Landscape Arch, which is just a few feet longer. The hike to Kolob Arch is about eight miles each way; it’s a long day hike but an excellent overnight backpacking trip. Day hikers should plan to bring all the water they’ll need, but those heading out a bit farther can expect to find water at one of the 17 campsites along La Verkin Creek or at Beatty Spring. Plan to treat water from the creek, as the sites are downstream from the agricultural zone higher on the plateau. Backcountry camping is allowed only in these designated sites, and a permit—$15 for one or two people, $20 for groups of three to seven backpackers—is required. On an overnight trip to the Kolob Arch vicinity, take a spur trail to Beartrap Canyon Falls (about five additional miles round trip) or add an extra day to explore the Willis Creek area. For a unique experience, check out the north and south forks of Taylor Creek, both accessible from the main Taylor Creek parking area. These “finger canyons” are more remote than some of Kolob Canyons’ more popular hiking trails, but they’re still not quite slot canyons—that distinction falls to Beartrap Canyon. A three-day loop to Beartrap requires some technical skills, including off-trail navigation, third-class scrambling, and a 40-foot rappel, so it shouldn’t be taken lightly. In a national park as well-traveled as Zion—it saw more than 3.6 million visitors in 2015—a quiet hike can be tough to come by. Kolob Canyons offers a respite from the crowds in the better-known areas of the park, and to minimize encounters with other hikers and backpackers, an off-season visit is the best bet. Average highs in the area hover in the mid-60s Fahrenheit in October, and, as a bonus, fall colors are in full swing. 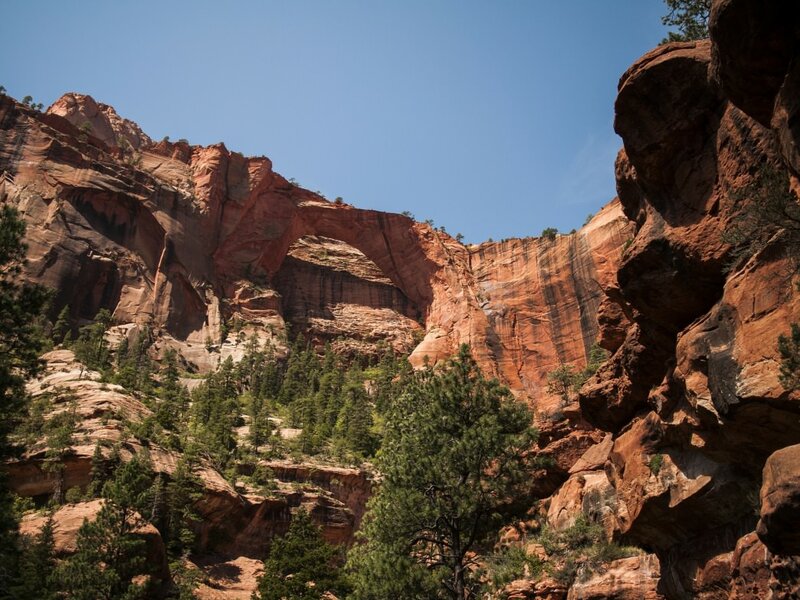 With the privilege of solitude, of course, comes some responsibility: It’s crucial that visitors to the park follow Leave No Trace principles to keep Kolob Canyons beautiful.